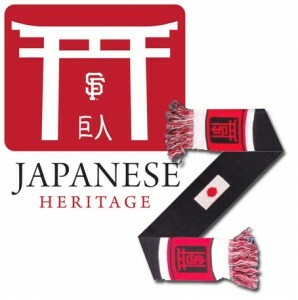 SAN FRANCISCO — Join the Japanese Cultural and Community Center of Northern California at the San Francisco Giants Japanese Heritage Night at AT&T Park on Monday, May 6, at 7:15 p.m. and watch as the Giants take on the Philadelphia Phillies. The Japanese Heritage Night group ticket through the JCCCNC includes a seat in designated View Reserved sections and a Japanese-themed Giants collectible item. A portion of the proceeds from special Japanese Heritage Night ticket sales will go to the JCCCNC. The JCCCNC has reserved seats in Sections 315, 321, 323: Rows 10-15 and Section 326: Rows 4-13 for this game. Seats are limited. The cost for the package, including seat and collectible Giants item, ranges from $19 to $29 depending on seat location and JCCCNC member/non-member rates. Groups of 20 or more can purchase tickets at the member rate. For more information on these special event games or to purchase tickets, call Ruby Hata of the JCCCNC at (415) 567-5505, ext. 225.